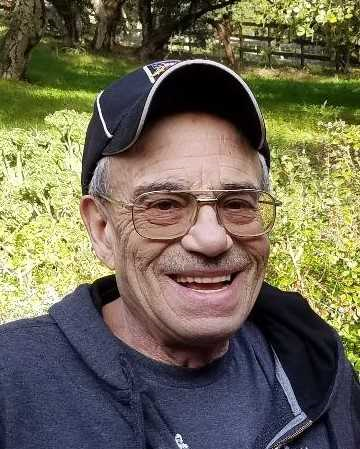 Robert (“Bob”) Louis Scilingo passed away on January 1, 2019, at his residence in Prunedale, California. Bob was born to Frank and Anna Scilingo on March 10, 1945, in Chicago, Illinois. He attended Saint Ignatius College Prep School in Chicago, Illinois and later, Cupertino High School in Cupertino, California. He was a Vietnam veteran who served proudly and honorably as a Sergeant in the United States Marine Corps. After Vietnam, he met, fell in love with, and married Joan Dominick on July 28, 1968. Bob worked in environmental electronics testing for forty-five years as a lab supervisor where he tested various electronics including parts that went into a variety of military projects and many that would fly in NASA rockets and space shuttles. He diligently worked long hours and weekends and earned the respect of his supervisors and coworkers. Bob and Joan had two children, Randy and Michelle. He was later blessed with five grandchildren (Colby, Logan, Riley, Mia, and Shiloh) with whom he spent countless, loving hours – helping with homework, guiding with wisdom, and fixing toys and electronics. Since retiring, Bob spent as much time as possible camping in his beloved mountains near Tuolumne, California. He often commented on the majestic beauty and peace that he found there. Bob genuinely loved food and was an excellent cook who enjoyed adding his own personal touches to dishes. He especially enjoyed Turkey a la King, Chop Suey, and cherry cheesecake as well as good old-fashioned BBQ’s with hot dogs, hamburgers, ribs, and steaks. Bob was always the first one to offer his help on any occasion. He was a no nonsense, honest, conservative, generous, intellectual, and morally grounded man. He had a kind, gentle heart and loved animals, including his favorite cat, Peanut. He was a self-proclaimed hermit, but so affable that he made friends easily and will be missed by so many. He was an avid historian and patriot with extensive knowledge of every American war and enjoyed discussing American and world history. Bob’s family would like to thank all of the friends and family who have been a part of Bob’s life. Bob’s family would also like to thank the many first responders, nurses, doctors, home care professionals, and hospice workers who worked tirelessly and helped Bob through the most physically challenging time of his life. Although his earthly journey has ended and he is with our Lord Jesus Christ, his wisdom, knowledge, and caring heart will carry on in beautiful, cherished memories.